← Happy 4th Birthday HBCU kidz, Inc.! Little Known Black History Facts for U! TO: Our AWESOME HBCU kidz VILLAGE MEMBER! YES! HBCU kidz, Inc. celebrated another BLACK HISTORY MONTH with a BANG! 1) Do U know John Henry St. Clare Walker-Educator Extraordinaire? Click BELOW to READ AND LEARN MORE ABOUT HIS LEGACY AND INDIRECT IMPACT ON THE FOUNDERS OF HBCU kidz, Inc.
2) Did U know that HBCU kidz, Inc. turned 4 years old on February 1, 2010? Another year and even more products and services to meet YOUR SPECIAL CHILDREN’S GIFT SHOPPING NEEDS! 2) HBCU kidz, Inc. launched A NEW SPIRIT GIFT SET THAT IS CUSTOMIZED TO BE UNIQUELY INSPIRING FOR ELEMENTARY AGED Kids! 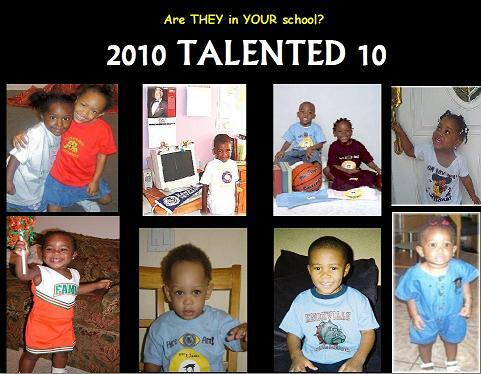 It is called “2010 TALENTED 10”! 3) This year we are also pleased to provide U with even more opportunities to share in the motto of “Education! Important GEAR for LIFE” with the Gosier Family and Friends! Our future DREAMERS, LEADERS and ACHIEVERS deserve the very best! Please visit one or all of our DIVERSE sites and perhaps choose a “personal” favorite! “I completed your BOOK, and I just want to say, that I enjoyed it, I found the messages to be very positive and uplifting. There are many lessons to be learned reading it. “One” should never throw stones”!!!! 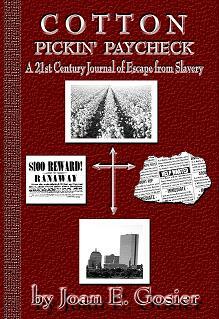 Click “Buy” and enter code ‘ WINTERBOOK ‘ at checkout. Save 10% off book purchases! * Disclaimer: Enter coupon code ‘ WINTERBOOK ’ during checkout and save 10% off the purchase price. Discount cannot be used to pay for, nor shall be applied to, applicable taxes or shipping and handling charges. Maximum amount that may be applied to discount is $10.00 per account. Promotional codes cannot be applied to any previous orders. No exchanges or substitutions allowed. Only one valid promotional code may be used per order. Offer expires February 28, 2009 at 11:59 PM EDT. Lulu.com reserves the right to change or revoke this offer at any time. Void where prohibited. HBCU kidz, Inc. pledges to continue to innovate and “change the game” for our FUTURE DREAMERS, LEADERS AND ACHIEVERS by providing UNIQUE AND INSPIRING GIFTS! Who inspired U to DO your best? Our products and services are created to “pay it forward” to the NEXT generation and beyond! Thomas, Our team truly thanks you for being a loyal HBCU kidz Village Member. We will continue to provide you and the Gosier family with valuable tools, educational gifts and cultural sharing opportunities as well as relevant community announcements. Hey! We invite U to join our 2010 FOCUS GROUP and let us hear directly your needs and wants! WE CAN DO THIS! –The Team at HBCU kidz, Inc.
Tommy, Joan, Maggie and their KIDZ!